From the lush rainforests of the equatorial Pacific to the polar extremes at the very edge of the world, Silversea Cruises expedition ships navigate some of the most far-flung waterways and destinations on the globe. Think off-the-grid, untrammeled destinations, like the remote islands of the Solomon Sea. Journey to Asia, Australia, Africa, Europe, America’s West Coast, Antarctica, and more aboard these exclusive expedition ships. Visiting over 900 destinations worldwide on intimate ships, discover and witness the awe inspiring wonder of the world. The Silversea All-Inclusive Lifestyle defines expedition cruising. What to expect? Adventurists, get ready. This once-in-a-lifetime experience to Australia and New Zealand is insider access at its best. Silversea’s ships are among just a few allowed to navigate these storied lands of wild biodiversity. Your hit list? The Great Barrier Reef, jumping kangaroos, cuddly koalas, the Kimberley coast, Ayer’s Rock, and the Lord of the Ring inspired landscapes of New Zealand. If the destinations themselves are the stars of the Silversea Expedition voyages, the onboard experts are equally of note. An onboard Expedition Team is meticulously vetted for its expertise in a wide range of fields. Via briefings, onboard lectures, Zodiac® cruises, and guided hikes, this will help bring to life what you experience by land and sea. 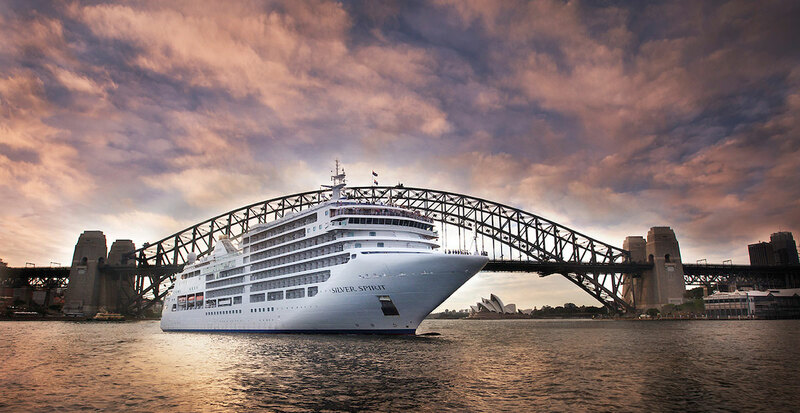 Time for your Silversea expedition. All that’s required? A serious sense of adventure.